What's new with your Axcient invoice? Throughout 2019, we've been working with groups of partners to launch our new Business Availability Portal. Access to the Portal is being rolled out over several phases of development. When fully implemented, the Portal will provide you with more efficient monitoring, alerting, reporting and billing. You can access the NetSuite Customer Center using your preferred Web browser. 1. Navigate to the NetSuite Customer Center site. 2. 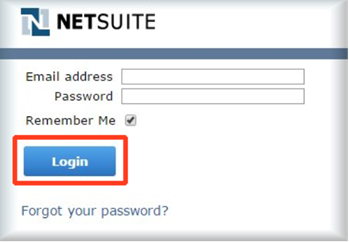 In the Login screen, enter your Email address and NetSuite Customer Center password. For your security, we recommend changing your initial password. 1. On the NetSuite Customer Center home page, locate the Settings panel. 2. In the Settings panel, click the Change Password link. 3. Update your password and click the Save button. 1. On the NetSuite Customer Center home page, locate the Customer Center – Home Links panel. 2. In the Customer Center – Home Links panel, click the Make a Payment link. 3. In the Apply column, use the checkboxes to select the appropriate invoice(s) you wish to pay. 4. Using the form, enter your credit card information. 5. Click the Submit button to save your changes. 6. Alternatively, click the Submit & Email button to receive an email copy of your receipt. 2. In the Customer Center – Home Links panel, click the See All Transactions link.